Our range of products include borla maang tikka, meenakari maang tikka, latest maang tikka borla, polki maang tikka and ruby maang tikka. With long years of experience in the industry, we are able to offer stunning array of Borla Maang Tikka. Our offered product is designed with utmost precision using quality-tested basic material and latest techniques as per trends of market. Furthermore, our provided product can be paired with traditional Indian dresses worn on celebratory occasions such as weddings. Clients can avail this product from us at market leading rates. 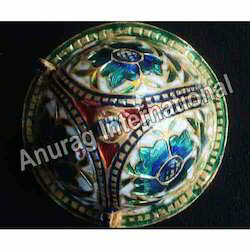 Being one of the reputed manufacturers and suppliers, we specilaize in offering a designer range of Meenakari Maang Tikka. These are beautifully designed and developed in accordance with latest fashion trend and widely preferred by fashion loving ladies. We offer different designs, color combination and styles of these borlas. 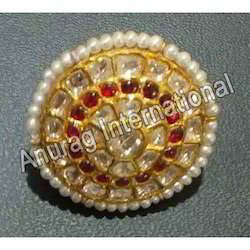 Our jewelleries are acclaimed for good quality and precision designs. One can avail these at cost effective prices. Being one of the reputed manufacturers and suppliers, we are involved in offering a designer range of maang tikka borla. Uniquely designed these borlas are widely applauded for fine finish and exclusive craftsmanship. We offer different textures, patterns and designs of these borlas following the demands of our clients. Customers can avail these borlas at pocket friendly prices. Clients can avail from us a designer range of Polki Maang Tikka borla, which are exclusively designed and developed by our experienced designers. Elegantly crafted these jeweleries are one of the most preferred choice of fashion loving ladies. 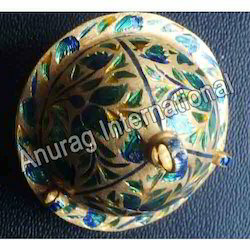 We offer these borlas in variety of designs, sizes and patterns. Designed using upgraded technologies, these borlas are acknowledged for beautiful cuts, excellent finish and appealing look. Being one of the reputed manufacturers and suppliers, we are involved in offering a designer range of polki maang tikka borla. Uniquely designed these borlas are widely applauded for fine finish and exclusive craftsmanship. We offer different textures, patterns and designs of these borlas following the demands of our clients. Customers can avail these borlas at pocket friendly prices. 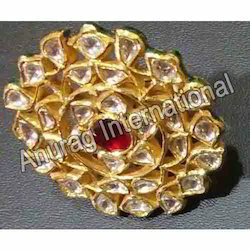 Being one of the reputed manufacturers and suppliers, we are involved in offering a designer range of Ruby maang tikka borla. Uniquely designed these borlas are widely applauded for fine finish and exclusive craftsmanship. We offer different textures, patterns and designs of these borlas following the demands of our clients. Customers can avail these borlas at pocket friendly prices.